Paper Sweeties October 2016 Rewind! Hello again, all! It's time to wrap up this month's release with a little rewind. 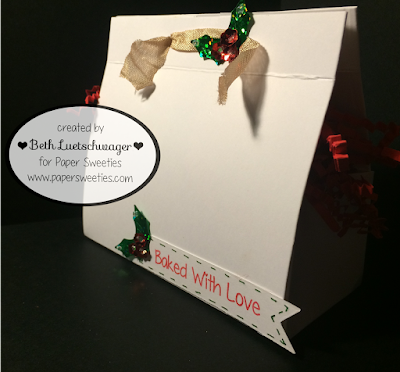 This time, I made these cute little gift boxes! I made the label at the bottom with the Sweet Borders Stamp and Die Sets and the "Baked With Love" Sentiment from the Basket Add On: Baked With Love Stamp Set, this month's new release! I added a bit of color and shine with some Paper Sweeties Sequins in Mistletoe and tied the box shut with Paper Sweeties Seam Binding in Cookie Dough. 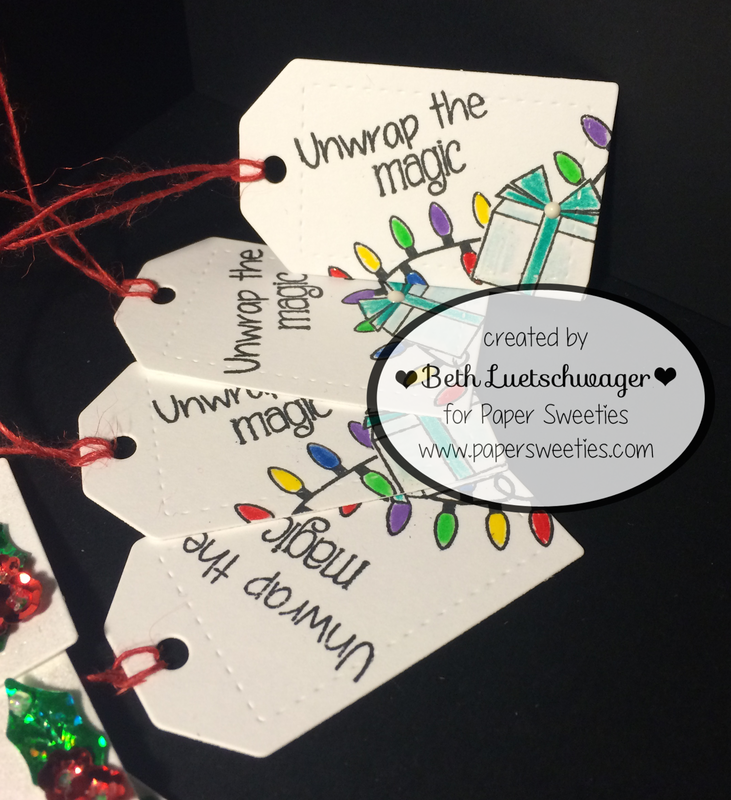 Paper Sweeties October 2016 New Product Release! It's time for this month's New Product Release! Let's get right to it! 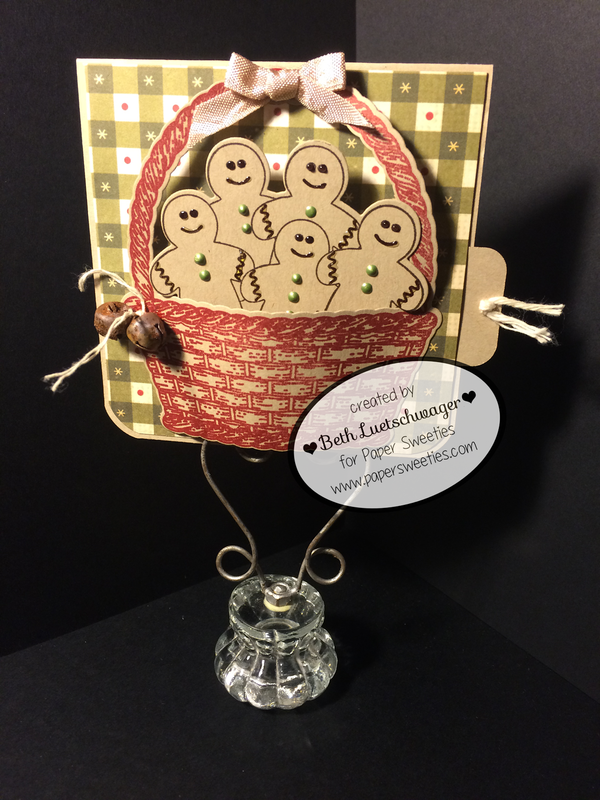 This time around, I used the new release, The Basket Stamp and Die Sets paired up with the Basket Add-On: Baked With Love Stamp And Die Sets to create this adorable little card. 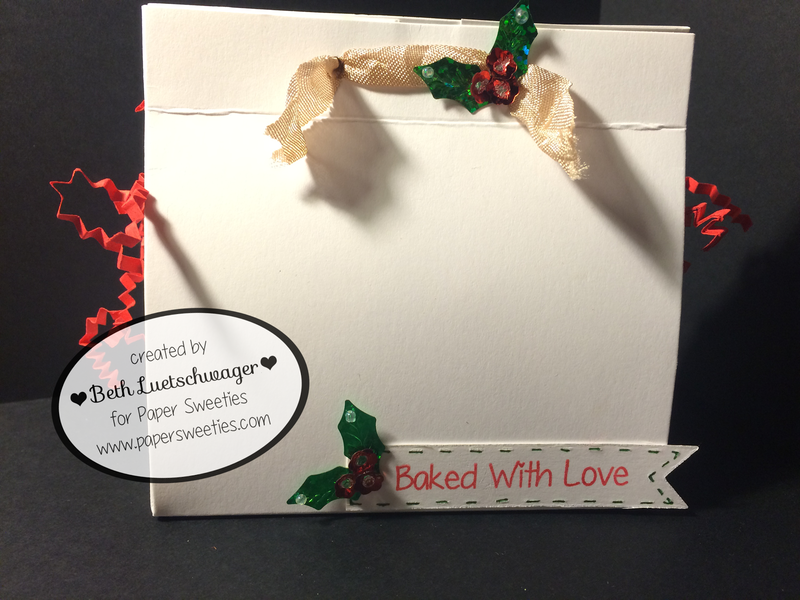 For the tag on the inside, I used the "Holiday Treats" Sentiment and another gingerbread man from the Baked With Love Add On. To tie it all together, I added a cute little bow made from Paper Sweeties Seam Binding in Tea and a little bit of jingle with Paper Sweeties Rusty Bells. Be sure to check out everyone else's creations for this months sweet release! Paper Sweeties October 2016 Sneak Peek!! It's already time for the October Release event for Paper Sweeties! I can't believe October's already half over, but I digress. Let's start things off with a very festive sneak peek! 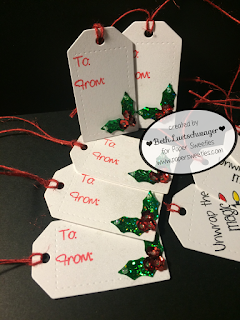 I made these adorable Christmas Gift Tags with some of this month's new sets, Merry Little Christmas and Baked With Love. These were so fun to make, and I can't wait to show you more! 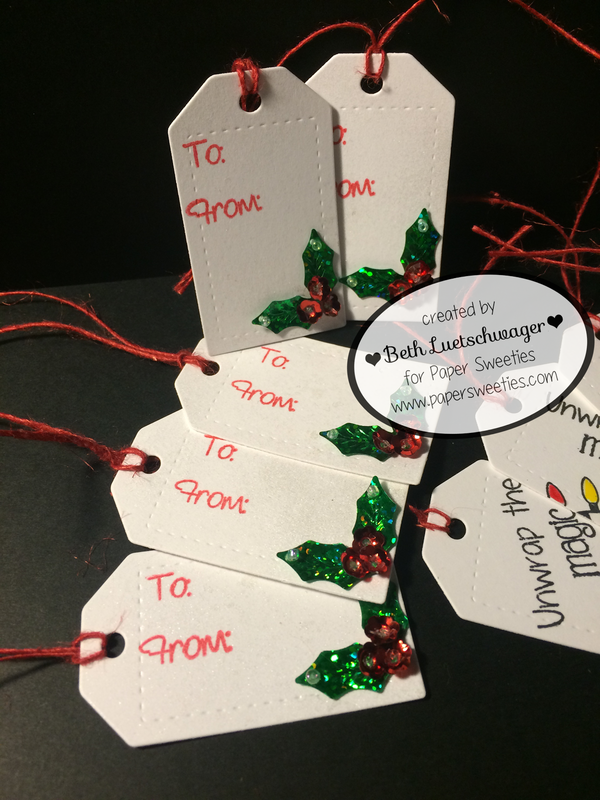 To add a bit of sparkle, on some of the tags I made holly berries from Paper Sweeties' Sequins in Mistletoe. 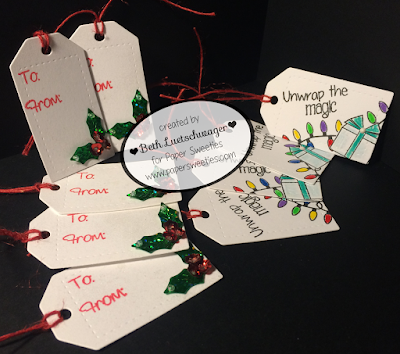 The "To:" and "From:" Sentiments are from the With Love Stamp Set. As always, you can find links to everyone else's creations below. Paper Sweeties October 2016 Inspiration Challenge! And with that, September has come to a close! It's finally getting a bit chillier down here in Georgia, but that hasn't stopped me from being completely excited for October's Inspiration challenge. Fall colors are some of my favorites, and this palette was so fun to work with! Here's what I made! This cute little Halloween greeting was wonderful to put together! The adorable little pumpkin came from the Happy Thanksgiving Stamp Set, and the "Trick-or-Treat" bags, "Happy Halloween" and "Boo!" sentiments came from the Too Cute To Spook Stamp Set. That's it from me for this month's Inspiration Challenge! See you on the 14th for this month's sneak peek. Be sure to check out everyone else's creations as well! !